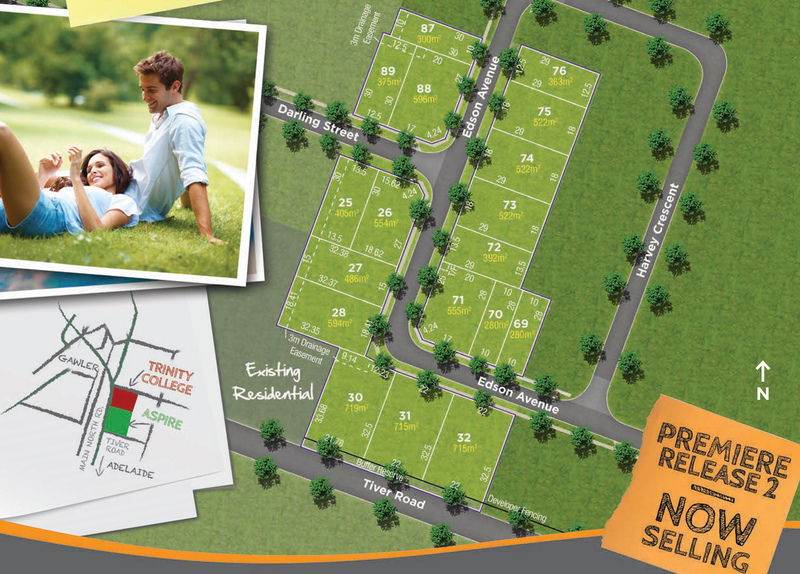 Aspire is a premium address in the North with a brand new reserve, kids playground and barbeque area. Masterplanned to host 360 allotments, landscaped parks and gardens, high quality streetscapes and recreational facilities, Aspire combines contemporary comfort with old fashioned values. The open spaces are designed to bring people together, and to provide the community with safe and welcoming places to relax, explore and play close to home. The new direct link to Trinity College allows both pedestrian and vehicular access, making school drop off easy. Aspire has been designed by Lanser Communities to provide your family with room to grow and flourish.